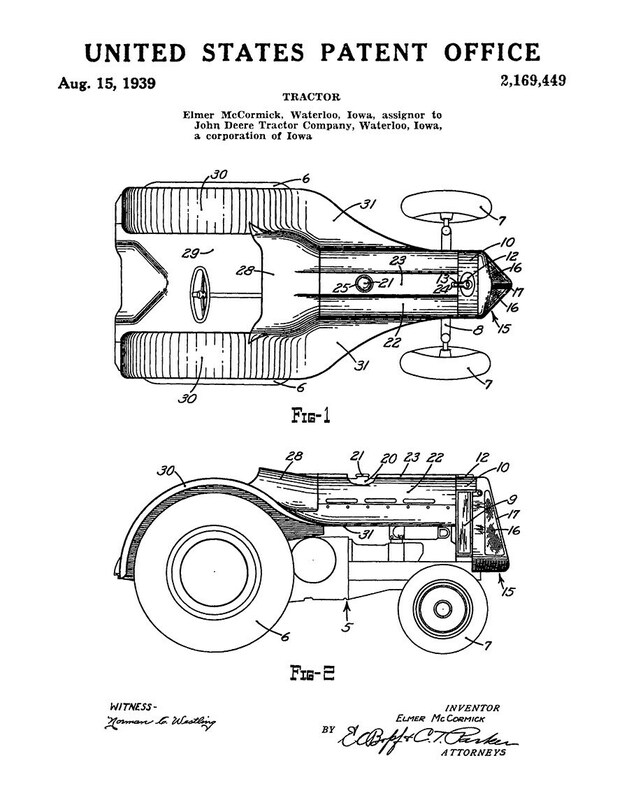 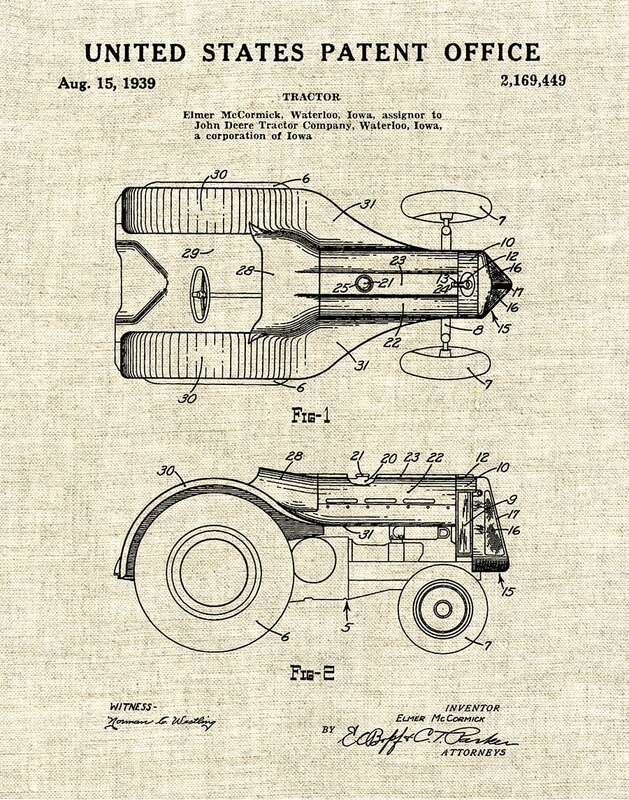 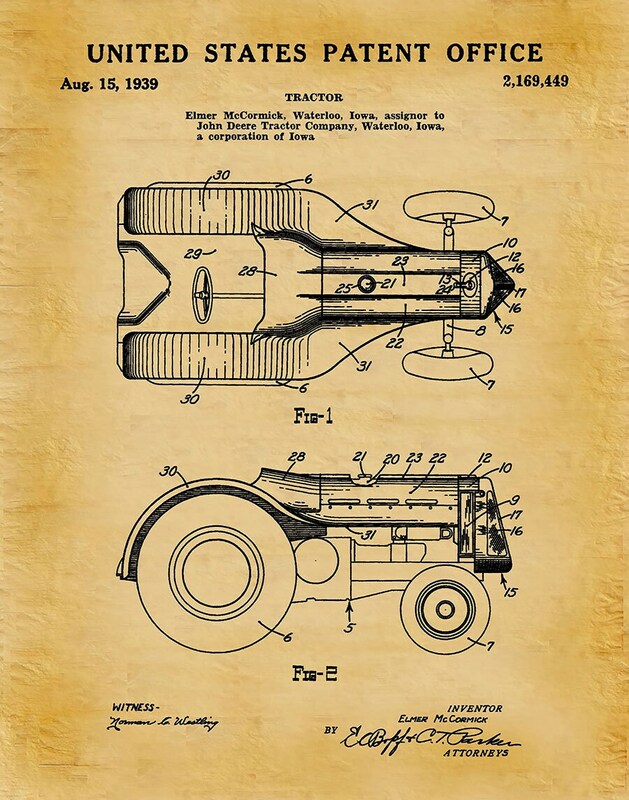 1939 John Deere Tractor Patent invented by Elmer McCormick. 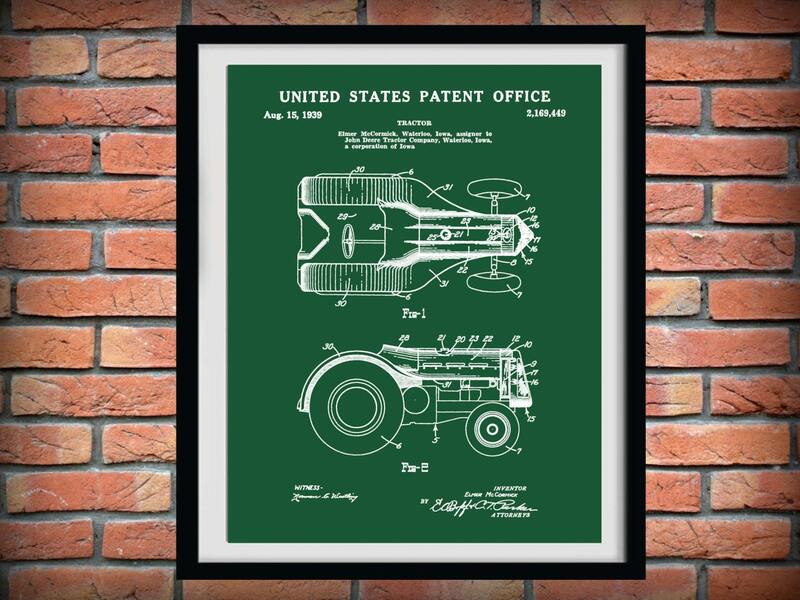 The patent was issued by the United States Patent Office and Trademark Office on August 15, 1939. 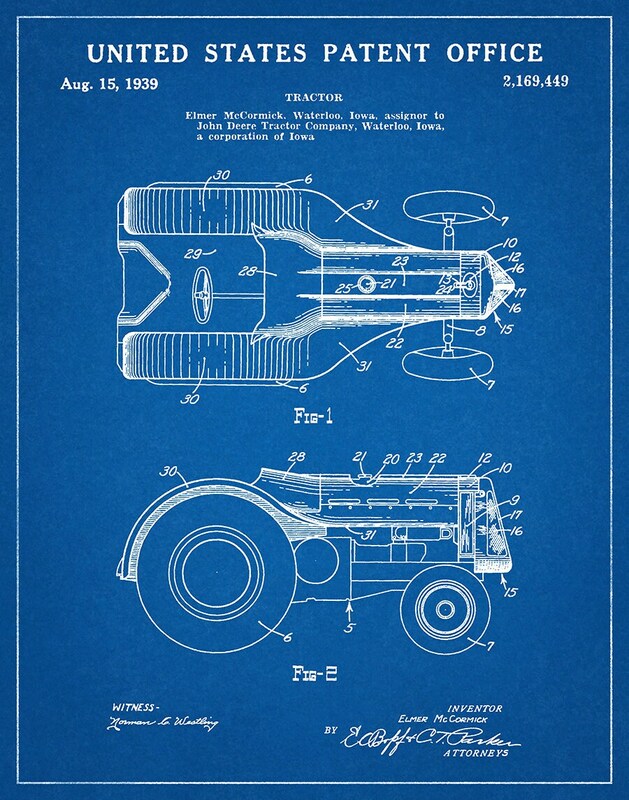 Thank you, very nice prints.